Oil prices on Thursday fell from four-year highs reached the previous session, pressured by rising U.S. inventories and after sources said Russia and Saudi Arabia struck a private deal in September to raise crude output. Brent crude oil futures LCOc1 were trading at $85.85 per barrel at 0104 GMT, down 44 cents, or 0.5 percent, from their last close. Brent on Wednesday hit a four-year high of $86.74 a barrel. U.S. West Texas Intermediate (WTI) crude futures CLc1 were down 30 cents, or 0.4 percent, at $76.11 a barrel. 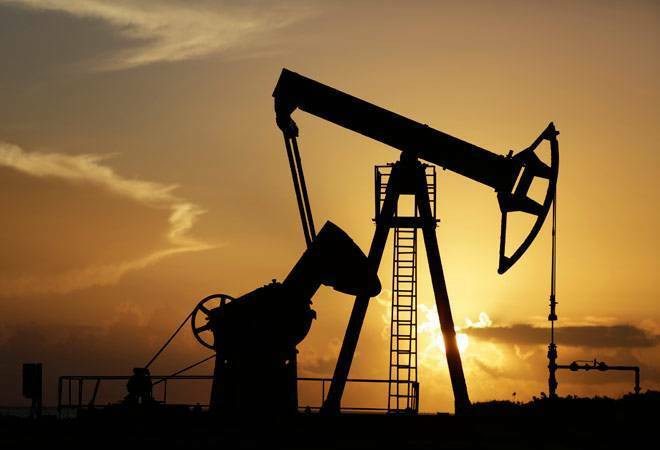 "Data for last week showed a much more significant than expected ... build in U.S. commercial crude (inventories), which generally suggests that oil prices should tumble," said Stephen Innes, head of trading for Asia-Pacific at futures brokerage Oanda in Singapore.U.S. crude oil stocks C-STK-T-EIA rose by nearly 8 million barrels last week to about 404 million barrels, the biggest increase since March 2017, Energy Information Administration data showed on Wednesday. US weekly Midwest refinery utilization rates dropped to 78.9 percent, their lowest since October 2015, according to the data. Meanwhile, US crude oil production C-OUT-T-EIA remained at a record-high of 11.1 million barrels per day (bpd). "This on top of the other big news of the day from Riyadh that ... Saudi Arabia and Russia will boost output," Innes said. Russia and Saudi Arabia struck a private deal in September to raise oil output to cool rising prices, Reuters reported on Wednesday, before consulting with other producers, including the rest of the Organization of the Petroleum Exporting Countries (OPEC).Russia's and Saudi Arabia's actions come as markets have heated up ahead of U.S. sanctions against Iran's oil sector, which are set to kick in from Nov. 4, and which many analysts expect to knock around 1.5 million bpd of supply out of markets. On the demand side, there is increasing concern that high oil prices and weakening emerging market currencies are creating a toxic inflationary mix that could erode fuel demand and economic growth. "We have been taking a very close look at the demand signals in the market, and what we have been seeing is not good, JBC Energy said on Wednesday in a note to clients. The energy consultancy said it had revised its oil demand forecast downwards amid Brent prices above $80 and diving currencies in many emerging markets, as well as burgeoning product stocks and the ongoing Sino-U.S. trade dispute. "We are not talking about cosmetic changes either. We have cut our forecast for 2018 demand growth by a whopping 300,000 bpd to below 1.1 million bpd," it said.